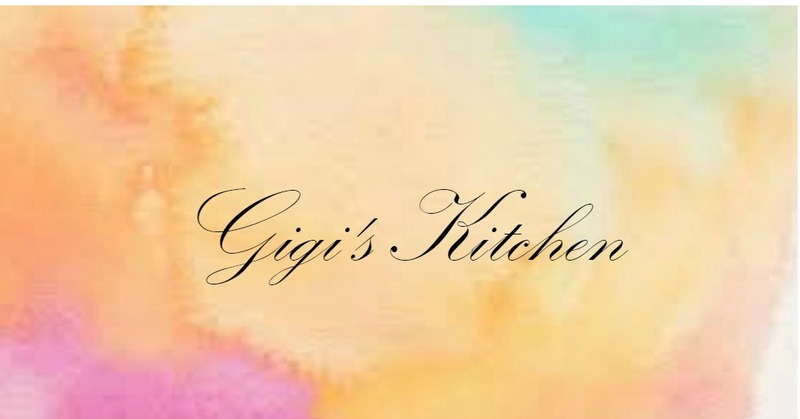 It's the first day of a new calendar year, 2014 and to kick it off I have an amazing recipe to share! We enjoyed it over the weekend and it truly made a perfect appetizer. It's pretty ironic that the day after I put up a nails of the day post with some perfectly burgundy and sparkling silver nails, I broke most of my nails opening shells for these pistachios. I really should have bought them shelled, I know! (I do it every time) I have a real love for my salmon if you haven't noticed yet. What's not to love, it's packed with protein and vitamins and tastes amazing no matter what you do with it. Baby salmon is usually my choice since it seems to be less fishy and softer to chew. I've made several delicious dishes with salmon in the past but I'm going to have to say this is my favorite to date. 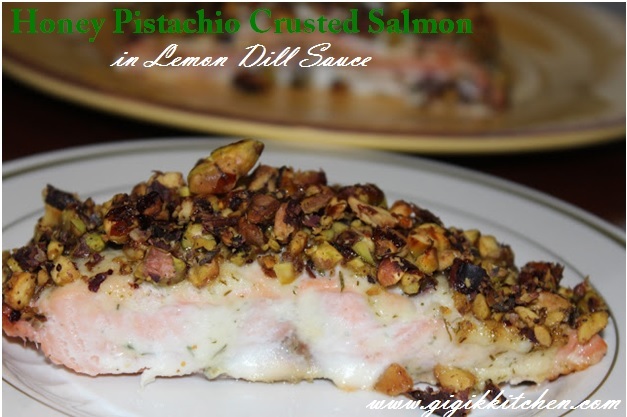 The pistachios, honey and creamy lemon dill sauce with a punch of garlic are just exquisite in combination. Try this for yourself, you'll see what I mean! I'm pretty sure it's the first time I've ever shared a recipe with fresh herbs in the ingredients. I rarely cook with them to be honest. It's just such a hassle to go through the whole process of choosing them, checking them for bugs, cleaning them properly and keeping them fresh until they will be used. Fresh is way better then dried spices though, there's absolutely no comparing the two and I really wanted the flavors to pop so I went for it. (I have a post with my tips and tricks for using fresh herbs so check that out here if you'd like). Besides for the fresh herbs ordeal, it's really not very difficult to put this together and it also makes for a decently healthy meal so not to worry about those new years diet resolutions with this one. The best part is that just a few bites have you feeling pretty full so it's a good meal to serve any time of day and with a salad to the side you'll be good to go. If you do cook this up in your home please do leave me feedback in the comments form below, I love to hear from you and it'll be nice to know how it turned out. This ones for you salmon lovers. 1. Rinse your pieces of salmon. Always use gloves to handle raw fish to avoid any possible bacteria. 2. Combine the mayonnaise, olive oil, dill, lemon juice and garlic. I did this in a food processor to bring the ingredients together really well. 3. Lay the pieces of fish skin side down in a parchment paper lined pan and then top each piece with a few spoonfuls of the sauce allowing it to run down the sides as well. Season each one with a little salt and pepper. 4. Put the pistachios into a food processor with the blade attachment and pulse a few times on the low setting to get a small-medium sized chop on them. Then lay them out on a parchment paper lined baking pan and drizzle them with some honey. Put them in the oven on 450 for 15 minutes to lightly roast them and remove them once the seem ready. 5. Top each piece of salmon with a nice amount of the honey roasted pistachios, completely covering them and the sauce as well. 6. Put the salmon into the oven and Bake on 350 for 20-25 minutes. Then serve. Please do send me the photos if you cook this up, I love hearing from you!